Just when you think that Spring weather is here to stay, the snow is back but soon you’ll be able to peel off the bulky winter clothes and enjoy the sunshine. I don’t know about you but, I have been looking forward to it for months. Now’s the time to prepare and make sure you can make the most of the warmer weather when it arrives! Here are some things you can do now to ensure you feel great and look fabulous by the time the warm weather arrives. During the cold winter months, your hair may be up in a bun or under a toque. It’s an easy time to let your hair routine become less of a priority. When spring time rolls around, it’s time to get your hair game back and get that mane looking its best! 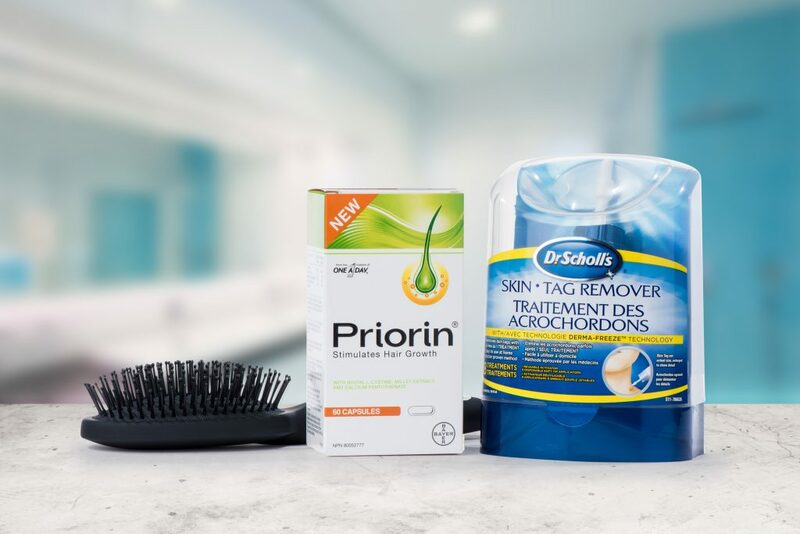 To help you get ready for your hair’s “coming out party” in the late spring/early summer, take two PRIORIN® supplements a day with food to stimulate hair growth. The supplement contains a combination of millet extract, L-cystine, calcium pantothenate and biotin to increase and improve hair growth and support the maintenance of healthy hair. I think one of the happiest moments of the year is putting away the winter coats for the year. You can go back to the clothes that make you feel good without all the bulk. Go through your closet and see how your warm clothes are holding up. What pieces do you love and can’t wait to wear again? Does everything still fit well? Are your spring shoes looking a little worse for wear? Don’t wait and check them now so you are ready to step into spring looking FAB. 3. Love On Your Skin! One of the best parts of the winter is layers. We all love them and use them to keep warm and stylish. With that said, it’s easy to hide unsightly or unattractive skin conditions under a pashmina scarf or sweater. For example, if skin tags are an issue, you can effectively treat them at home with Dr. Scholl’s Skin Tag Remover, a doctor-proven, easy-to-use cryotherapy product that freezes the skin tag from the base; once new, healthy skin has formed underneath, the skin tag will fall off, usually within 10 days. I find the older I get, the more of these guys I see and I want them gone! Keep up your moisturizing game too, our skin is our largest organ—we need to take care of it to age gracefully, y’all! 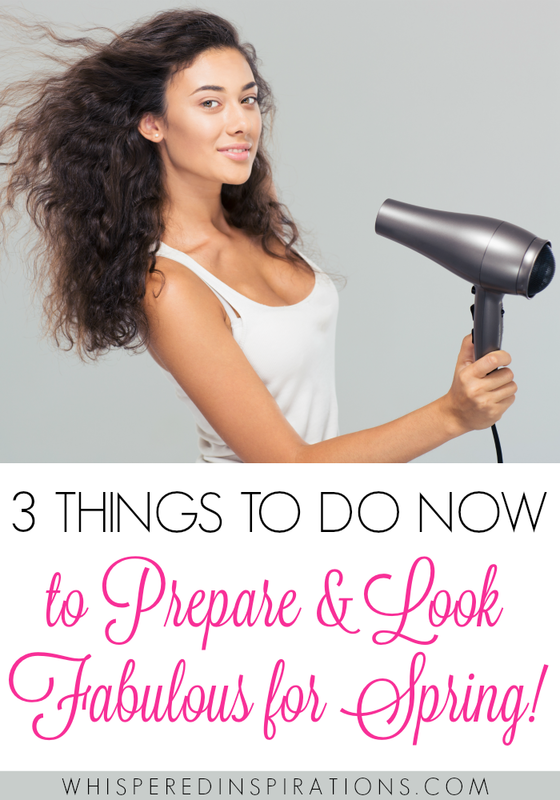 How do you prepare to look your best in the Spring? Thanks for all the tips,yes finally Spring is on the way !! It’s easy to neglect your skin in the winter when it’s covered up most of the time. Now is a good time to start some extra care so I’ll look good when the warmer weather comes. Thanks for the heads up. Yep, now is the time! I could definitely benefit from a better skincare regime. I’ve been using some essential oils, but I could do a better job of washing my face before sleeping! That is always great. I use a nice cleanser. I did not realize they sold something commercially to take away skin tags. I have more than I want to think about. Yes, they make it so easy. Hehe, I think I have some too! I’m definitely going to have to focus on keeping my skin and hair in good shape. Priorin sounds like it could be helpful! I definitely need to stimulate some hair growth. I feel like I have so much less hair than I used to. I am going to organize my closet this weekend and store the thick coats and jackets for next winter. That would be my number one priority task. I would also want to try that supplement Priorin. We all want to have healthy hair and skin regardless of the season. Hehe, always does the trick for me! Loving on your skin is such an important thing to do. All of the time but especially this time of year. Loving on your skin is a must after the winter we’ve had. My skin gets so dried out during the summer. These are great tips. I make a point of getting in all my water and getting plenty of sleep at all times, but I especially stay on that when spring starts to roll in. I do the same! Tons of water and sleep! I always gut my closet when it’s close to spring time. I get rid of anything that I haven’t worn over the season and donate it. I do that every year! These are really super tips! I am totally bookmarking this to use them next spring. Who doesn’t want to look fabulous for Spring? I know right! Glad you liked the tips! I love these tips! I have to remember to focus on skincare in the spring too. I feel like if you put more effort into the health of your skin, you will feel better! Great tips to do during the winter months to prepare for Spring! Thanks for sharing them! Ugh, skin tags. I’m going to try this stuff, for SURE! I hate what the seasons do to my skin, so I’m going to take your advice here and take better care of it! It’s so interesting how the different seasons mean treating our skin and hair in different ways. Thanks for the great tips on handling the spring weather. I’ll be sure to try some of these ideas out. These are all such great ideas. I think it’s great to keep your skin healthy. I didn’t even know there were products out there for skin tags. I’ll have to look more in to that. I get skin tags around my under arms. The derm. took my last one off, but it is cool they have at-home options. Yes, I have tried it and had great results. This is so great! I’m going on vacation so I really need some better tips! All new information for me I need to research a little thanks for sharong! I have the ugliest skin tag on my back. I need it removed, going to have to look into that remover. I have used it with much success. With fall coming up for me, I make sure to stay hydrated- inside and out!